But do please keep up with your agenda of Poland the brave! Got to agree a complete waste of money. In order for Poland to grow stronger some bureaucratic issues needs to be resolved. So there's a need sometimes to bring some issues to the table and to deal with them. We can't just tap ourselves on the shoulders and expect that it will fix itself. Who claimed that Poland was in ruins in 2015? Well...actually yeah, I agree, it was the very hard left wing PiS. Awesome....be proud to be Polish! What is your problem Delph? I'm amused at the promotion of Europe's largest sausage party. It's raining cats and dogs here at the moment - pity it's a Sunday, or those ZUS "workers" could get wet on their way to the office for their coffee and cakes. There is hope the government intends to make the change so that we have a universal healthcare system paid by salary contributions similar to the British system, after which ZUS and its offices will be liquidated . Yes I am waiting for PiS to run that one by their vote base of pensioners and unemployed. Use opportunity my dear brothers, while you are gathered in great numbers and force your government to move Poland out from the hands of NATO mafia. Don`t have fear. You were able to fight Warsaw Pact and you would be able to fight NATO pact. Why? They were in deep financial trouble because of Polish mismanagement. 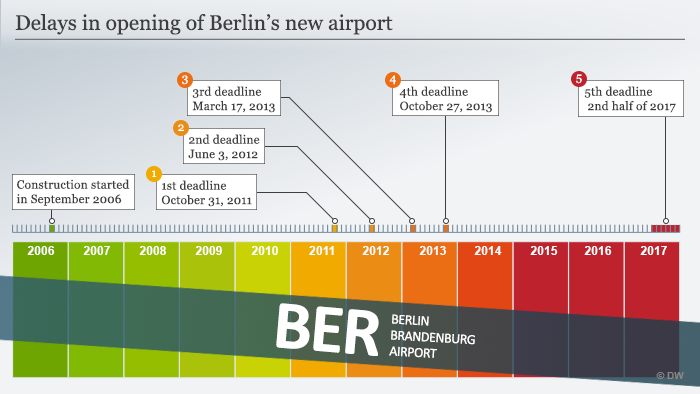 The Berlin Brandenburg Airport is the single biggest mismanagement in the whole of Europe, yet it is still being financed. And it was financed even against the EU rules. All EU members are equal, but some - like Germany - are more equal than others. Well they have to finish it just so they can call it Marlena Dietrich Airport ! "Other suggested honorees included Claus Schenk Graf von Stauffenberg, Albert Einstein and Marlene Dietrich (suggested by members of the Christian Democratic Union), Gustav Stresemann (nominated by the Free Democratic Party), and Otto Lilienthal (advocated by the Green Party)." Day by day, Serbians becoming really upset and disappointed with treachery of official Poland regarding Serbia`s sovereignty. If Serbs come to March in Warsaw they will come in deal and consent with ultra right Catholics and other patriots in Poland. Then there will be such a brawl with Polish regime police and nothing will be same in Poland and Europe, after that. Racowie against official Poland. I think Duda deserve just that. Traitor. Try it Crow I and millions of Poles will stop you, we don't have a regime and we have never committed mass genocide. I see how you speak in Your delusion, dolno. That delusion is created by powerful and sinister one. With the reason. Millions of Poles against Racowie??? What happened man. What happened? You think western Europeans love you? They despise you. Vatican? After Serbs, next on the list aren`t Russians but Poles. Russians they can`t get but they can get Poles and they will. So, I think Serbs will work with Poles, not with Poland. Exactly what we did prior to dissolution of Austro-Hungaria and prior to dissolution of Warsaw pact. I am sure, Poles are there, somewhere. Nowhere behind you, if you are against our current government or any other government that has been democratically elected by the Polish people, bring it on crow see what you get back in return. That government stubbing Serbia in the back over many questions. Duda and his government are regime to Serbs, not government. Regime such was communist regime. Call it whatever you like. And regime should go down. Poles deserve better. Polish people wasn`t for partition of Serbia. It means that Duda betrayed Polish people expectations, too. To us Serbs Poland is important and what Poles say. Who gives a sh** what EU, or Germany, or Russia, of France or Britain speak of Poland and Poles. But we are Serbs. One can`t easily manipulate Serbs. We don`t obey neither to third Rome, neither to Pope, neither to Patriarch in Constantinople. So that is painful for them and harmless for Serbia....why you're complaining is not as IF they stabbed you in the back. Pierdolze pane brate. Forget Szabla. For Duda? Are you now crazy? Remember the Polish Szabla must remain blunt for training in peacetime, but once sharpened it must be blunted again on the bones of our enemies.